On 1st February 2018, more than 100 people assembled at Malawi’s Health Education Unit in Lilongwe to celebrate the Ministry of Health and Population’s pledge to nationally expand Chipatala Cha Pa Foni (CCPF) or Health Center by Phone. It was an inspiring morning filled with stories, speeches and even music celebrating the success of CCPF to date and plans to extend CCPF further to improve the health of all Malawians. CCPF is currently advertised in nine districts and will reach the rest of Malawi’s districts by the end of 2018. 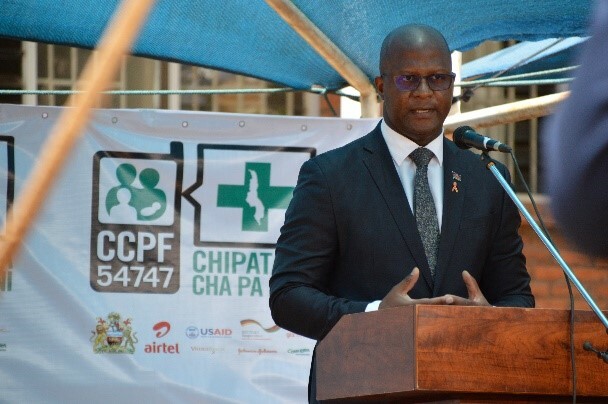 During his speech, Minister Atupele Muluzi outlined how the Ministry of Health and Population will concretely move toward complete ownership by the middle of 2019. Jürgen T. Borsch, the German Ambassador to Malawi, spoke of CCPF’s increasing breadth. He highlighted both the personal and professional one-on-one communication CCPF provides, as well as the impact across so many areas including “health services, promoting prevention of diseases, balanced nutrition, empowering women, advising mothers on critical questions and improving the well-being of their children.” He highlighted CCPF as a complementary tool in supporting the efforts of the global Scaling up Nutrition (SUN) Initiative in Malawi. During her speech, Virginia Palmer, the U.S. 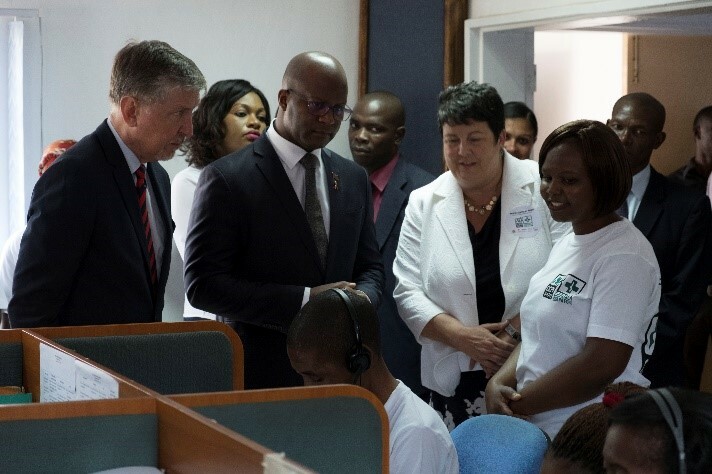 Ambassador to Malawi, shared her enthusiasm for CCPF’s ability to serve youth and adolescents, funded by the United States President’s Emergency Plan for AIDS Relief (PEPFAR) through the DREAMS Innovation Challenge. She acknowledged that some of the problems CCPF addresses are international, as certainly American teenagers face similar challenges in accessing age-appropriate confidential information on sexual and reproductive health. The Minister described how CCPF plugs a gap in Malawi’s healthcare service, supplementing those who cannot access a health center. In recent months, CCPF also has been a helpful way to provide information on cholera prevention, alerting the government to the districts in which concerns are raised. Many women who have called the hotline to address urgent health issues traveled to Lilongwe to join the celebration. Gladys Litenga provided a moving testimony of her experience with the hotline, as she was expecting her baby boy. The celebration marked both the success of CCPF so far and the work ahead to extend CCPF services to everyone in Malawi who may need them.